With a year worth of experience in providing users a fun gaming experience on Facebook Messenger, the social media giant is taking a massive leap of faith with its Instant Games platform. It launched the Instant Games platform on Messenger in November last year to satiate the users when they’re not conversing with their friends. 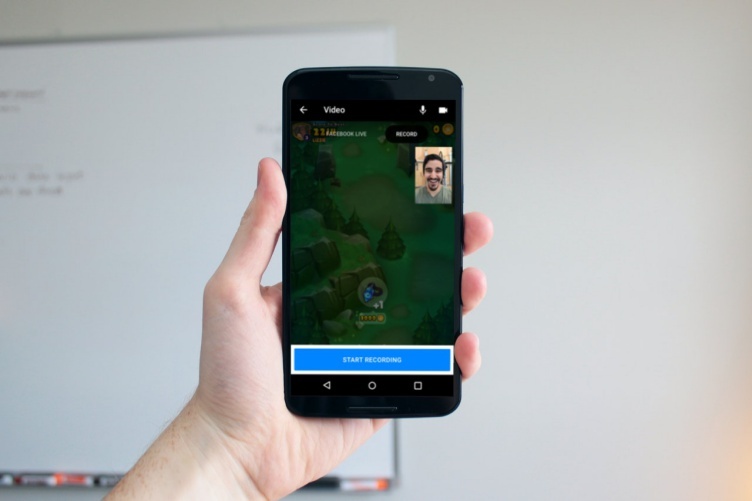 But, the platform is now introducing support for live streaming Instant Games on Facebook, as well as video chat with friends while enjoying multi-player games. 1. Open Messenger and navigate to the games tab (fourth one from the left, if you count the camera button as well) and select the game title you want to play and live stream on your profile. 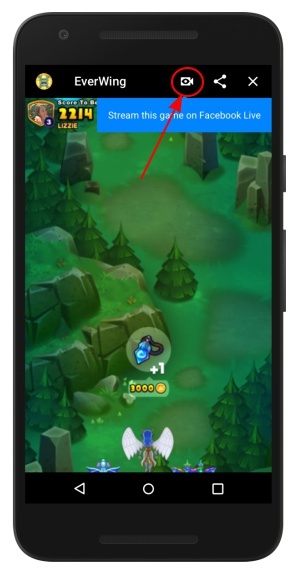 Now, tap the new ‘camera’ icon at the top right of the gaming screen to get ready for streaming. 2. You’ll then see the front camera turn on and your video appear as an overlay at the top right of the gaming screen. You can choose to turn off the video and just ramble while you play the game. When you’re ready to stream, just tap on the ‘Start Recording’ button at the bottom to go live. 3. Once the streaming session is live, you’ll see an interface similar to what you’ve already seen on Facebook Live. You can swipe to reveal comments and see the audience’s reaction towards your stream in real-time. When you end the live stream, your friends and family will be able to view the saved recording. In its official blog post, Facebook revealed that the Instant Games Platform was originally launched only in 30 countries with just 20 games in tow. The platform has experienced massive growth in the past one year, with around 70 games from 100+ developers now live on the Messenger platform. While Facebook is expanding the scope of its billion user-strong Messenger platform with live streaming but plans to expand the same by allowing more Facebook users to play together and live stream the game on their profiles. 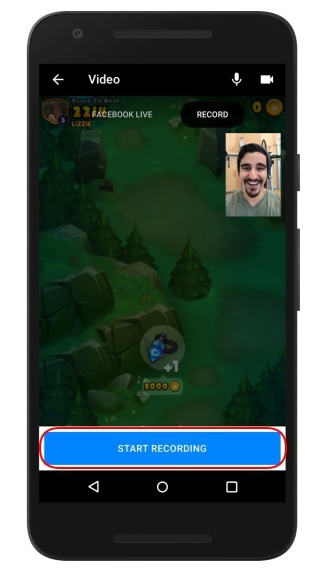 The social media giant plans to start testing this functionality in the coming weeks, allowing the users to video chat while they are enjoying a casual game on Messenger. Further, it has also been announced that Words With Friends will be the first game to support video chatting when the feature goes live early next year. It will enable friends to see each other’s live reactions when they form words out of thin air. Facebook is adding two notable features to Messenger to not only increase the usage time of their messaging platform, but also increase the inflow of live video content on the social platform. The company also plans to launch an incredible set of new games on Messenger to encourage users to play more Instant Games. 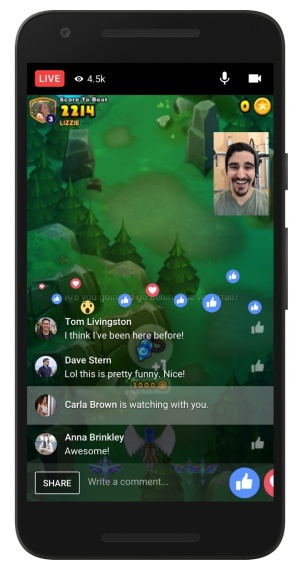 So, are you planning to live stream your gaming expedition on Facebook? Let us know in the comments down below.